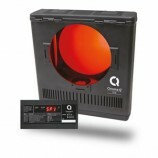 The Chroma-Q® Plus™ colour changer combines the proven performance and reliability of the Original Chroma-Q with new advanced features, providing even greater usability and flexibility at the same low price. Features include increased frame capacity (20 colours), variable fan and scroll speed via DMX, gel saver mode, digital LED display, power assist scroll loading and separately available universal mounting plate. 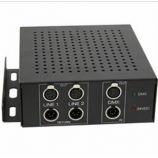 The PS08 power supply has a maximum capacity of 8PU and features 2 individual XLR4 outputs each with terminated return inputs. The PS08 has been designed for cable loops of up to 66m / 200ft in total across its outputs.